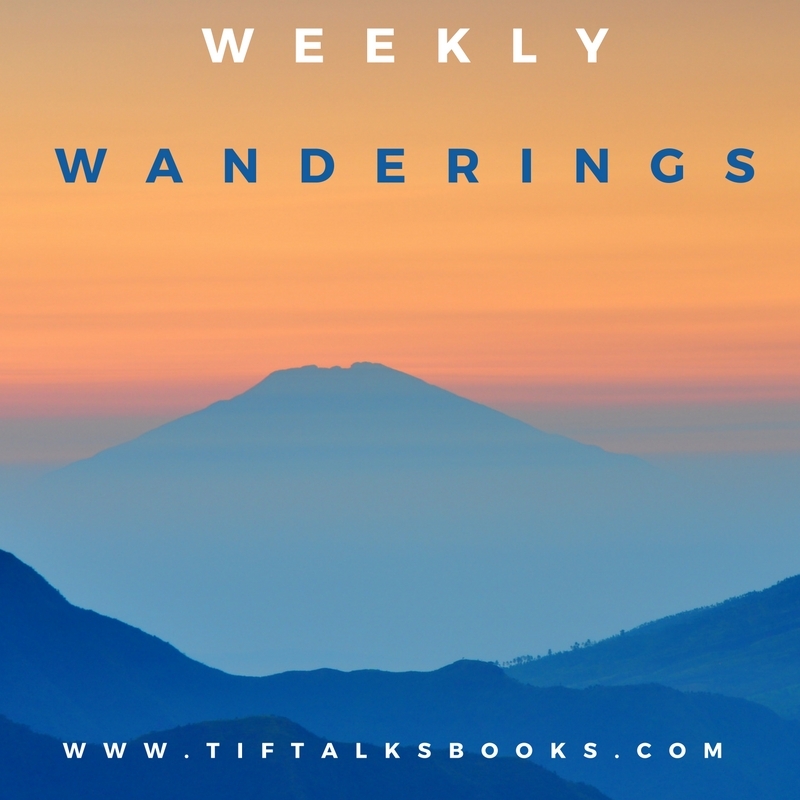 TIF TALKS BOOKS: WEEKLY WANDERINGS: Currently Reading . . .
WEEKLY WANDERINGS: Currently Reading . . . 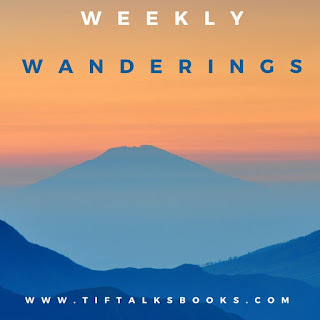 The last week has been crazy, and I have not been able to read as much as I would like because of nightly activities, traveling for meetings, and just trying to get caught up on things around the house. However, that has not seemed to stop me from picking up more and more books. My stack of books that I am currently reading has gotten a little out of hand . . . once again! Let's take a look at this ridiculous list. As Chimney Sweepers Come to Dust by Alan Bradley (Flavia de Luce #7): I'm listening to this one on audio, and sadly it expires tomorrow and I'm only halfway through it. I'm hoping I can just get it back immediately, but just in case, I've got another book as a backup. Audio is my one thing I can get to every day because I listen to it while driving to and from work, cleaning the house, and running errands. Born a Crime by Trevor Noah: I'm reading this one with Book Bloggers International this month. I'm supposed to be through all of Part I by now, but I'm a bit behind. It will be this book that I will be taking to bed with me tonight. Jacky Ha-Ha by James Patterson: I am reading this book as part of a book group with some of my students at school. It's an easy read, and I'm all caught up on my reading for this one. It will likely be an easy book to read ahead in, so I'm trying really hard to just stick with our reading assignments and be a good role model! Fostering Resilient Learners by Kristen Souers: I'm reading this book for a book study for work with my staff. I'm actually ahead of the reading schedule for this one, but I really just want to finish the book. It's an easy read, and one that I am enjoying very much. The Handmaid's Tale by Margaret Atwood: I originally listened to this book a few years ago on audiobook, and it left me with a rock in the pit of my stomach. I enjoyed it, but it really made me think, and I felt that the dramatic version that I chose to listen to affected my opinion of the book. This time I am reading it for the #resistance readalong with Michelle of Gather Together and Read. I am only just starting it, so am already behind in the discussion that starts tomorrow! Yikes! 1984 by George Orwell: For some reason, I did not feel that I had enough books on my stack for the month. So, I picked up a copy of this one at the library last week and ended up joining a readalong for this one with some Instagram friends. I am not far into it, but I feel like it will be a quick read once I have a few moments to sit down and read. Harry Potter and the Order of the Phoenix by J.K. Rowling: I am reading this book with my children and we are slowing approaching the halfway mark. My kids are really digging this book, and are hoping to convince me to watch the movie (up to the point we have read, of course!) this weekend. They will likely get their way! The Boy Who Was Raised as a Dog by Bruce D. Perry: I am reading this one for another book study for work, but this time with the counselors in the district. It is not an easy read, and I am taking it pretty slow simply because of the content. Honestly, I'm a bit behind in the reading, but I hope to get caught up before our next monthly meeting. The Complete Sherlock Holmes, Volume I by Arthur Conan Doyle: I picked this one up last October for Operation #ReadSherlock (which will be returning in 2017!! ), and continue to work on the stories that I didn't get to read. It's a great book, so I tend to savor the stories when I have more time. The Brothers Grimm: 101 Fairy Tales by The Brothers Grimm: I love fairy tales, and I love to revisit them. I have this book sitting on the nightstand for those nights where I don't have much attention for more than 2-5 pages at a time. I'm probably about halfway through it. Ten books!! I think this is the most books that I have had going at one time, and now that I look at this long list, I realize just how horrible my problem has become! With this realization, I'm going offline as soon as I publish this and going to bed with a book . . . or two. Maybe I can make a dent in a couple of these books this week! What are you currently reading? Do you tend to be between the pages of more than one book at a time? Or, do you tend to be more of a monogamous reader? Lots of great things to read. Even if you read parts of these, it is good. Glad you have Grimm brothers' tales among them. New ones keep turning up! I have also picked up Andersen anthologies recently and enjoyed many of his lesser known tales, many of which are quite short, much shorter than, say, the Snow Queen or the Little Mermaid. Lucy ... I have a collection of Andersen's tales somewhere too! I will eventually switch out Grimm for him, but I will likely finish this one first. You've got a lot going on! haha, that is quite the haul of reads. I have been moody in my reading, too, so I can totally relate. I keep starting things and not finishing anything! Kailana ... It really is! I want to finish these, but I just keep switching books around! That is a lot of books to be reading at once. Wow! Good luck! Jenny ... Thanks! I'm going to need it because it has gotten so out of hand!